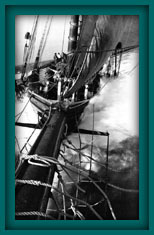 You are about to enter the archive site of the 1996-2005 Ernestina website developed by Eric Swanzey and maintained by Gregg Swanzey. This archive is provided as it was in 2005. It contains valuable information especially in the history & timeline, calendar, stats and programs. Please understand that some links will not work and some information is not up to date.